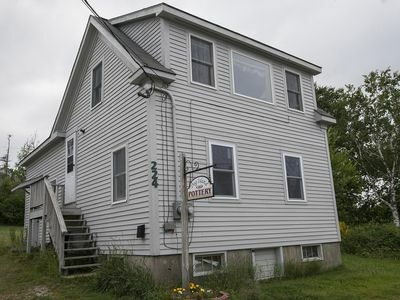 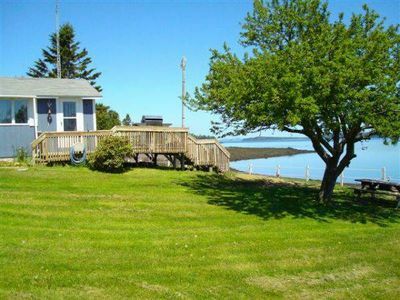 2 full bath rooms, laundry facilities plus a deck and a porch overlooking the bay. 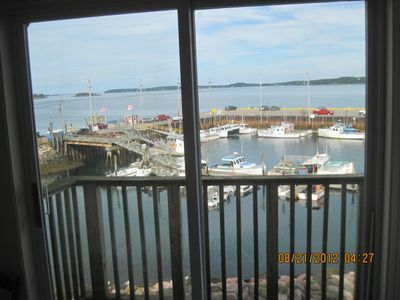 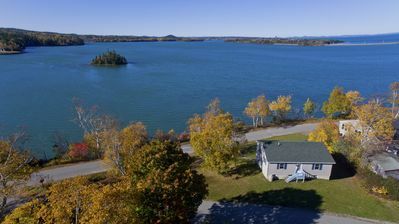 Two of the bedrooms look-out over Half Moon Cove... as does the open concept living room, full kitchen and dining area. 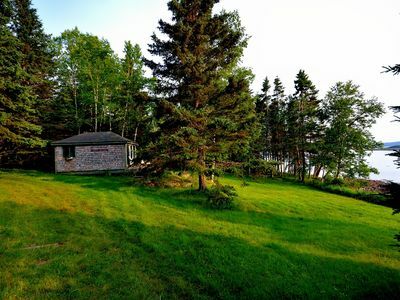 A little slice of heaven on earth. 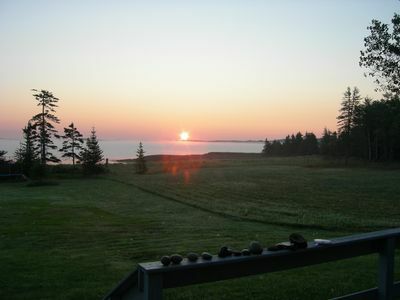 Explore the 80+ acres of fields and trails, first sunrise in the USA . 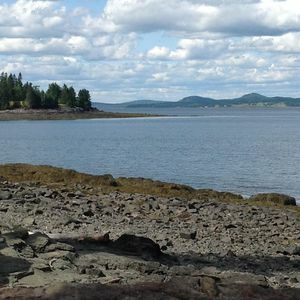 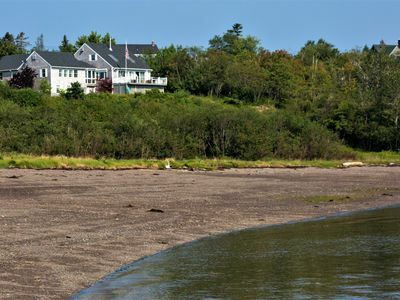 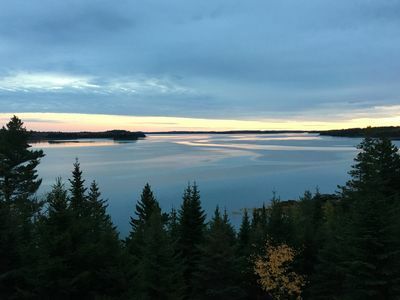 Nestled between the Cobscook & Passamaquoddy Bays, Rossport has a mile and a half of shoreline on the Bold-Coast. 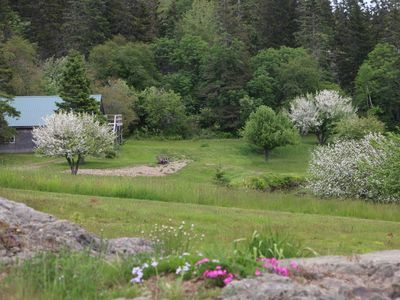 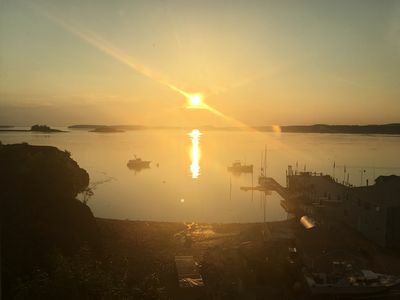 Families, groups and weddings of all sizes are welcome to experience the very best that Down East Maine has to offer. 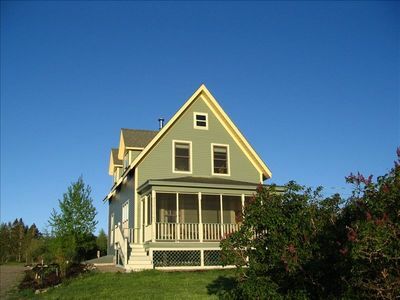 Twelve privately located houses, cottages and cabins. 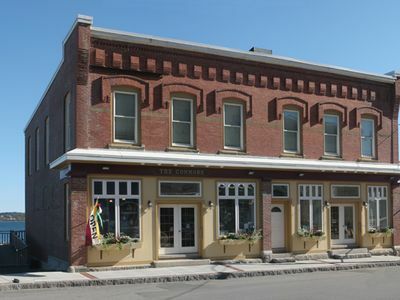 You are certain to find the right lodging, amenities, and facilities for your needs. 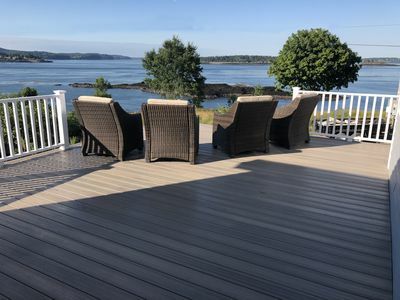 So, grab yourself an Adirondack chair, kick off your shoes, and settle in for a beautiful escape from the everyday grind. 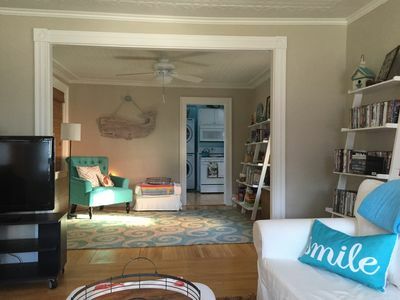 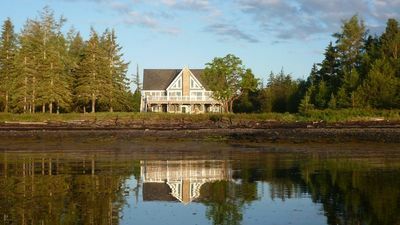 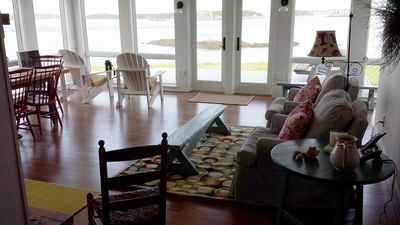 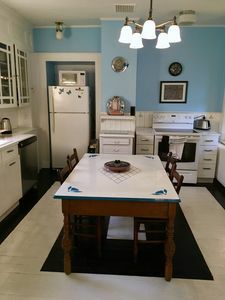 Everything in a Maine Vacation in ONE home! 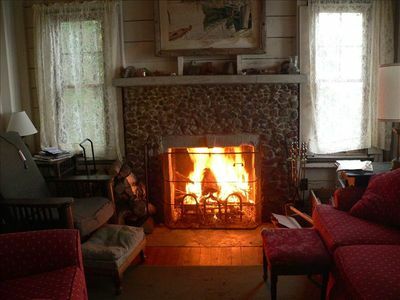 You have to experience this one! 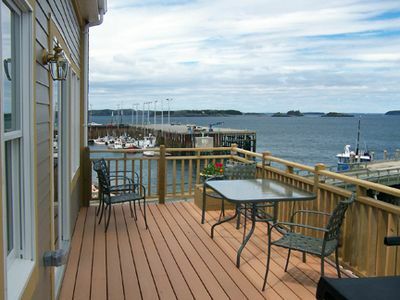 Watch the whales from your deck!